10/21/2018 (PST) I have uploaded new version of i-KeyHoleTV. The version of i-KeyHoleTV is able to launch on iOS12.1, iOS11, iOS10. Please download and instal it. The bug comes from Apple Code Sign issue. iOS12. The BUG comes from Apple. And I will release i-KeyHoleTV as soon as possible. 9/26/2018 (PST) i-KeyHoleTV does not work on iOS12. Please do not upgrade to iOS12. I am trying to fix the problem. 9/25/2018 (PST) i-KeyHoleTV for iOS, has been uploaded for a new Provision Profile. Please delete old i-KeyHoleTV and install from OISEYER Download page. KeyHoleTV is faster than CHIDEJI and One Seg. system is available. I am sorry your inconvenience. 6/13/2018 (PST) The purchase site is probationary　. I . The problem is lines and　devices. You can purchase a Premium Module Key. Please use "Manual setting" button. 6/11/2018 (PST) The purchase site has a network problem. inconvenience. I will try fix the problem as soon as possible. 12/20/2017(PST) A year Premium Module Key has been changed the price. download and install it. In this time you need to delete old i-KeyHoleTV. iOS11 and extending provision profile. send e-mail to OISEYER Inc.
03/03/2017(PST) The automatic purchasing system is up. I am sorry for your inconvenience. 03/02/2017(PST) The automatic purchasing system is down now. Please purchase a Premium Module Key by the manual purchasing system. may cause. Your support is greatly appreciated. tap Download button in Download Page by your iOS device. case of 3G or 4G LTE does not have problem. Also, the sales of Automatic setting Premium Module Key might have effect the over traffic. the answer might store in SPAM folder also. Please check your e-mail. (updating expire date). If i-KeyHoleTV is not working on iOS 9, Please contact to us. OISEYER Inc. is going to send it via e-mail. the KeyHole user name in the NOTE. attach KeyHole user name in the note. has fixed for black screen in the some devices. has registration feature and purchasing a Premium Module Key. is fixed bugs for Android OS 5.0. Back button and changing sense region of a button on top bar and bottom bar. been released. Installing application at Download. 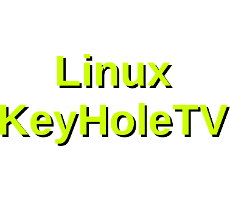 04/29/2015(PST) A-KeyHoleTV is fixed for the keeping screen. 04/28/2015(PST) A-KeyHoleTV is fixed for HOME button bug. 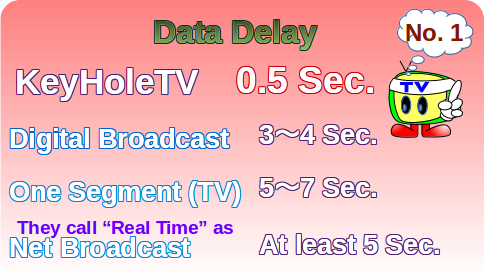 04/26/2015(PST) A-KeyHoleTV is fixed for the sound delay. 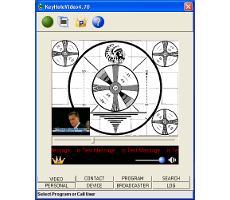 01/03/2015(PST) MKeyHoleTV for Windows Mobile 5.0, 6,5 has been released. LAN and bad cookies in the browser. Please contact to us. 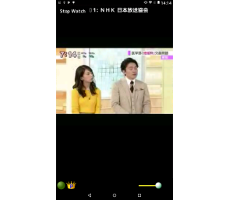 11/9/2014(PST) i-KeyHoleTV for iOS 8.x has been released. 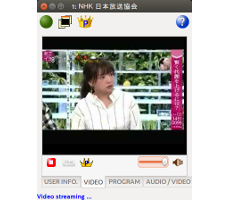 10/6/2014(PST) A broadcaster has been reported about Internet provider problem. The Internet Provider can not keep stable Internet connection. button "Buy Now" and please attach the username. the purchasing system is working. I am so excuse about inconvenience. I am so excuse about the back upping system is delay. 1/1/2014(PST) As KeyHole server has been attacked from many places. Normally, when KeyHole server is attacked, KeyHole server stops. full by attacks. Also, Server is stooped by the server maintain at 7:39(PST). I am so excuse about the restarting server. e-mail from Inquiry. OISEYER Inc.
sends an invoice via Paypal. 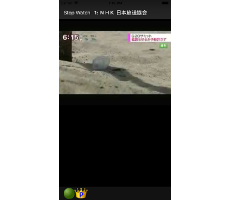 11/09/2013(PST) JB iPhone can install i-KeyHoleTV via Cydia. KeyHoleVideo is fixed for GDI memory leak. 10/02/2013(PST) i-KeyHoleTV is fixed bug for iOS7. 05/30/2013(PST) Wireless LAN makes visual disorder of KeyHoleTV. Please send an e-mail from Inquiry. OISEYER Inc. replays the solution of the problem. Premium Module Key, Please contact to us. version of KeyHole system is testing version. 04/21-22/2013 (PST) KeyHole server has been broken by CRL. I have no idea why they want to do. Please call CRL. Premium Module Key has been started. 04/03/2013 (PST) KeyHole services will start late night 04/04(PST). Module Key. Pleas tell us if you can not log in. 04/02/2013 (PST) Something wrong about Network. I am checking now. fixed for sound device selection. working on OS10.4 and OS10.5. 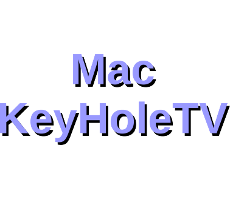 MacKeyHoleTV2.7 for OS10.4 and 10.5 has been released. Premium Module key, If you have enough Premium Point. 12/4/2012 (PST) i-KeyHoleTV for IOS5 and IOS6 has been released. happened from 11/23. Server might be restart. the server automatically stops and restarts. 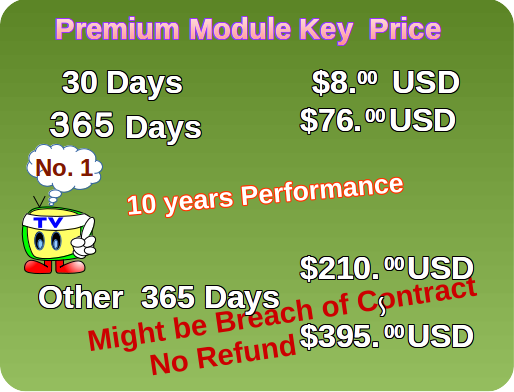 11/8/2012 (PST) We start to sell Premium Module key. 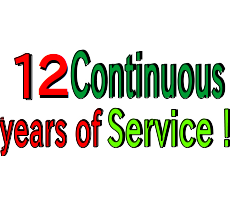 11/2/2012 (PST) Server has been changed period for NON-Premium User. And Data base has corrupted and fixed. However, purchase system is under constructing. 09/18/2012 (PST) The place where the server sets, solves a problem. 09/13/2012 (PST) Home page has been updated. 06/15/2012 (PST) Home page has been updated. 11/20/2011 (PST) Home page has been updated. has an urgent message box. Click for details about "Faster than One Seg and local terrestrial digital broadcasting"
Click for details about "Purchase Premium Module Key! $8 for 30 days and $60 for 365 days"
Click for details abou "Only needs ¼ of data that YouTube will use"
The verification movie of "Faster than One Seg and local terrestrial digital broadcasting" has been uploaded. 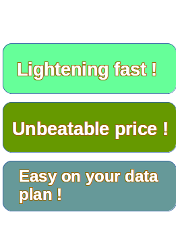 Click to jump to Purchase Premium Module Key for Automatically Setting. Use KeyHoleTV to purchase, becomes , after your payment. If you are having trouble purchasing Premium Module Key by clicking on the above button, please use the below button (Buy Now). Click to jump to Purchase Premium Module Key for Manually Setting. KeyHole is the fastest digital system that enables broadcasting or viewing of video or audio. The the fastest digital system is the based on US Patent technology (US 8243811 B2) by OISEYER Inc.
i-KeyHoleTV (for iPhone or iPad) and A-KeyHoleTV (for Android) needs a Premium Module Key. The getting Premium Module Key is needed KeyHoleTV's user name or KeyHoleVideo's user name. If you don't have a user name, Please get the user name by KeyHoleTV or KeyHoleVideo. KeyHoleTV or KeyHoleVideo has a button to jump to the purchase page with KeyHole user name. Premium Module Key has no relationship with distributed programs . Premium Module Key controls a bit rate on KeyHole system. 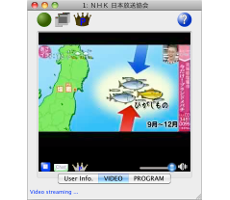 The other Japanese TV broadcasting system via Internet, must stop during your contract . That is why they take more cost than us. When they stop to broadcast, you can not get back your cash. In case of KeyHoleTV , OISEYER Inc. continues to broadcast for 9 years. That is why OISEYER Inc can provide low cost. The main focus of KeyHoleTVis the speed of the delivering data. The current system can delivery video/audio 0.5 second delay . The delivering speed is faster than digital TV broadcasting system. In case of emergency, KeyHoleTV can receive hazard information. Mobile network supports many areas now. For instance, people can use the network at the underground shopping mall, subway and subway stations. KeyHoleTV can handle moving device which switches different base stations. KeyHoleTV is faster than local terrestrial digital broadcasting (CHIDEJI). 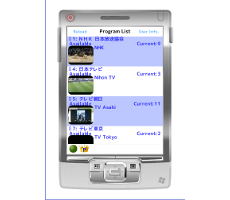 The upper TV is CHIDEJI and the lower tablet is KeyHoleTV. One seg is slower than KeyHoleTV. 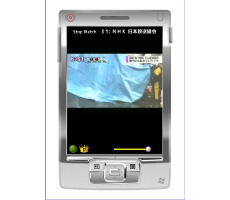 Left is One seg mobile phone and right is KeyHoleTV tablet. Easy on your data plan ! If you use Internet at home, you might have no problem about data usages. 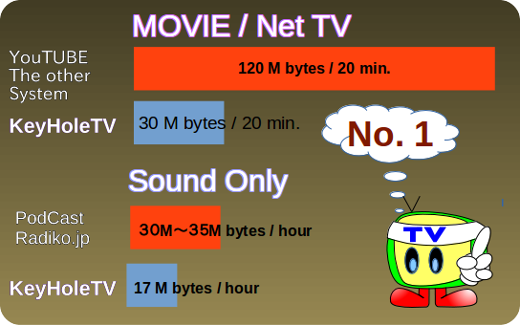 However, If you have amount of data limitation and watch TV or Video, you will have a problem about data limitation. In case of YouTUBE and the other system, the system eats 120 M bytes per 20 minutes. It means that if you want to watch video every two hours, you will have data limitation at 14 days. After 14 days, you might have slow communication with your chat or e-mail. In case of KeyHoleTV, you will be able to watch 56 days. It means that you don't have data limitation to use chat, e-mail and the other system. The new version of KeyHoleTV will have the following GUI on all OSs such as Windows, Linux and Mac. 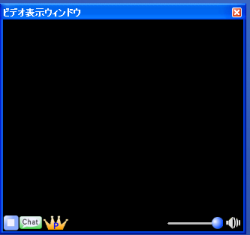 Also, the video window has "Stop", "Chat", "Volume Slider" and "Volume Display Mute" button. Cognitive Research Laboratories, Inc. (CRL) is our partner company in Japan. 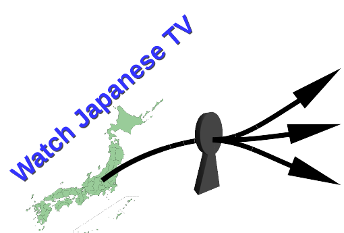 CRL has been playing a major role in providing equipment, including a server, as well as the distribution and broadcasting of KeyHoleTV and KeyHoleVideo CRL is also entrusted to make KeyHole system license agreements in Japan. As of 2012/10/30, we have received donations from 1593 people worldwide, which totaled to $34,852 . We have received frequent questions regarding our relationship with the Japanese Ministry of Internal Affairs and Communications. We would like to clarify that we have not received any support for the development of the Ministry of Internal Affairs and Communications. The KeyHole system was developed and patented by OISEYER Inc . and its founder.